“Despite the fact that the moon landing conspiracy has been debunked many many many times, it endures. There’s a number of discussions with conspiracy theorists. For example they claim the moon landings were faked as a publicity stunt. “If the moon landing was real, why didn’t they go back?” is one argument used. And apart from the further five times they went back, that’s a fair point. Those other ones were probably publicity stunts too, but they kept those quiet. “It was a scam to get one over on the Russians” is another argument. Another good point, the USSR and USA were involved in a space race, so the USA decided to cheat to get to the moon first. Sure, the USSR could have disproved their claims if they’d wanted, but they clearly trusted the Americans not to lie. They may have been willing to wipe out the planet over their ideological differences, but when it came to important stuff like space-based contests, they trusted the Americans implicitly. 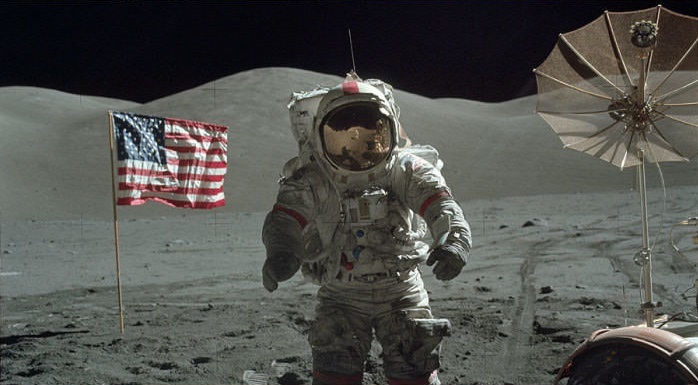 NASA recently published 10.000 photos from the Apollo Moon Mission, but were they expecting to be caught, or it was all legit and we are making things up?